In the last two hundred and fifty years, there have been revolutions in America, France and Russia, to name three of many. Now, due to the entertaining, if flawed, Rise of the Planet of the Apes, there has been an ‘Ape revolution’ to add to that (tragically) long list. 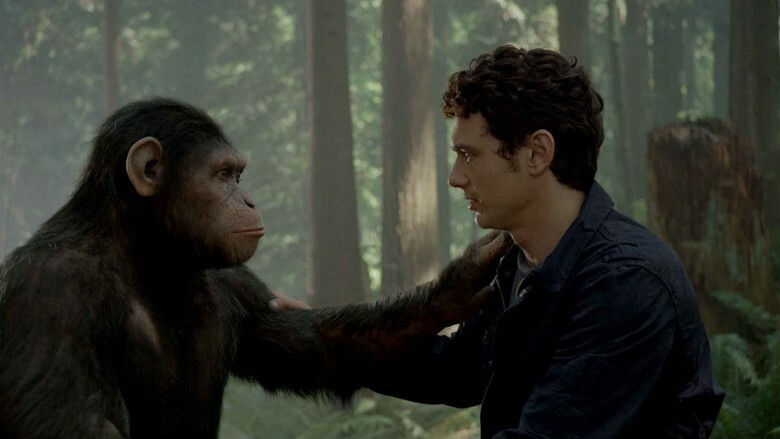 The film’s plot centres round Will (James Franco – 127 Hours, Your Highness, Sausage Party) and his incredibly bright pet chimpanzee, Caesar (played by Andy Serkis – The Lord of the Rings I, II & III, Burke & Hare, The Hobbit I ). Will is a scientist, who believes that he has found the cure for Alzheimer’s. He uses data readings from apes – Caesar in particular – to prove it. The cure also increases brain function and intelligence considerably. This enables Caesar to communicate with Will, as well as facilitate the former’s ability to learn compassion and love; not to mention help set up Will with the beautiful Caroline (Frieda Pinto – Slumdog Millionaire, You Will Meet A Tall Dark Stranger, Immortals). Nevertheless, the cure also makes Caesar realise that he is different from humans. After being taken into captivity, and being maltreated by Dodge (Tom Felton – The Borrowers, Harry Potter I-VII(i) & VII(ii), The Apparition), Caesar uses his brain to the maximum. Then, in a Lenin-like moment, he calls upon all the apes of San Francisco (rather than the workers of the world) to unite and fight back against human rule. Thus, begins the ‘Ape revolution.’ But where will it end? Dodge (Tom Felton) making sure that all the apes are locked in their cages. For a little over an hour, the storyline and the dialogue for Rise of the Planet of the Apes is easy to follow, engaging and intelligent. Christopher Wyatt’s (The Escapist) film appears to hold great promise, but, alas, it goes badly off on a tangent for the last forty minutes. 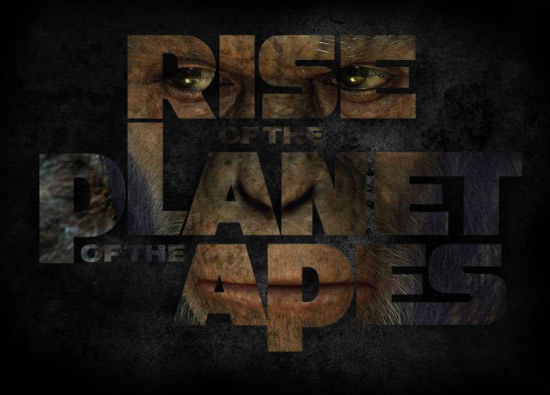 Several elements of the movie are left incomplete and unexplained; for example, at the sanctuary there are at most two dozen apes, but when Caesar leads the revolution there are hundreds. Where did they all come from, and how did they all become so intelligent? The plot may have its flaws, but the acting by Andy Serkis makes the film worth watching. Serkis, in another Gollum-like role (albeit without the schizophrenia and dual-personality disorder), delivers another impressive performance. Using facial expressions, gesticulations and sign language, Serkis gives Caesar some very human characteristics that force viewers to empathise with Caesar’s situation (at least for the majority of the film). Serkis’ performance is undoubtedly the best of the cast. Nevertheless, James Franco and John Lithgow (Shrek, Dreamgirls, New Year’s Eve), who plays Will’s father, don’t play badly either, even if their roles are not especially challenging. The same, though, cannot be said for Freida Pinto, Tom Felton and David Oyelowo (Derailed, The Last King of Scotland, The Help), who plays as Will’s boss at the laboratory. Again, none of their roles are challenging and they may not have much screen time. But when they do appear, they all have two-dimensional characters that sound awfully contrived. And, in Felton’s case, if he plays a character similar to Draco Malfoy once more he risks being type-casted. Brotherly love between the fully grown Caesar (played by Andy Serkis) and Will. With the exception of Serkis, the acting may not be notable. Nevertheless, the music is uplifting and apt for every scene, thereby making the movie that bit more gripping. Similarly, the special effects throughout the film are pretty decent. More often than not, one would believe that it is a real chimpanzee climbing through the trees, rather than it being part-Serkis, part-CGI. 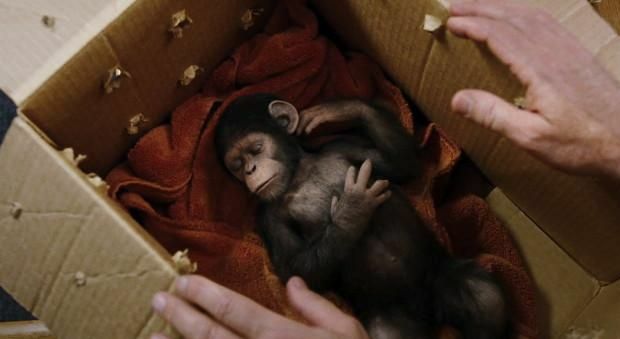 Rise of the Planet of the Apes is an enjoyable movie. Serkis delivers another sterling performance. With the aid of some brilliant CGI, he is able to give his ape a very human feel. It is a shame for him that most other aspects of the movie are not on the same level. In many ways, Rise of the Planet of the Apes epitomises revolutions in general. It loses its way. This entry was posted in Action, Thriller, TV series based and tagged 127 hours, ape, chimps, felton, film, film reviews, franco, french revolution, immortals, latest reviews, movie, movie reviews, pinto, review, reviews, revolution, rise, rise of apes, russian revolution, supremacy, your highness. Bookmark the permalink.